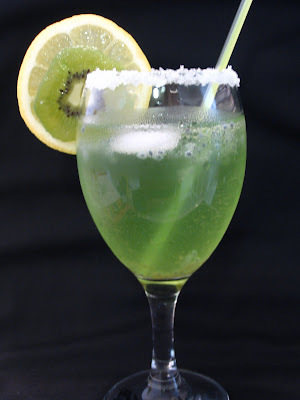 This drink is served by my friend during the potluck party, A slight variation in the drink what I do regularly has changed the flavour of the drink so I thought of doing this and share with you all. Really this cocktail will be so refreshing and tasty. The ingredients added in this makes you hungry and attack the party foods(Just Kidding) . 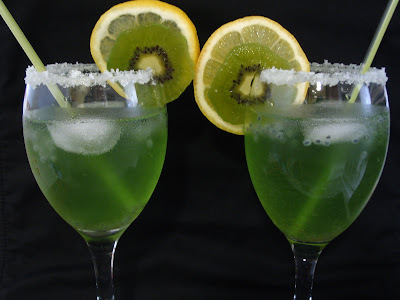 Here is how you should make this drink..
1. Put the sabja seeds in the water for 1/2 hour and drain it. You can see the seeds in the picture. 2. Mix all the ingredients and put some ice cubes. 3. Serve in the decorated glass. Add the seeds atlast in the glass. 1. If icecream falvour is not available use any kind of syrup you like. 2. If your using sprite add the sryrup according to your sweetness. Oh wow!!! That looks romantic. Got to have it in Miami (Marina atleast) along with my boy friend (Ofcourse my hubby only). The color itself is refreshing...looks prefct for summer heat..
WOww thats so lovely!!! beautiful presentation..very refreshing! 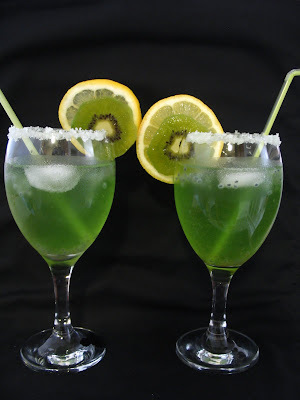 Gorgeous drink and lovely green color! Perfect for season. never seen some drink so lovely b4!! This is cool n different! 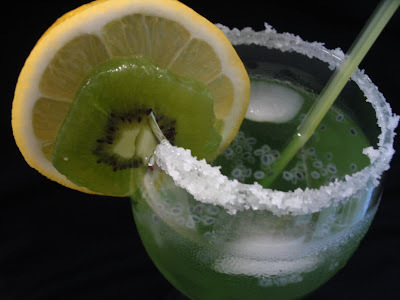 Gorgeous color on this delicious and refreshing drink! Lovely presentation as usual..Pavitra,u just start a label on Food Photography and add all of ur amazing shots in that.very refreshing cocktail..
Wow.makes me wanna have the drink right now.